2010 was the year I went to the cinema like twice a week, and 2011 was the year I barely went at all. Seriously, I was trying to figure out if I've even watched enough movies this year--who cares what year they are from--that I liked well enough to make a post about them. I decided I have and alas 50% of them are not from 2011. 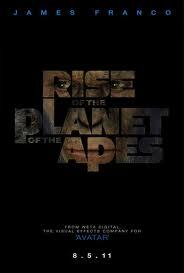 When it comes to popcorn flicks they really don't get much better than Rise of the Planet of the Apes. I was totally engrossed in this rebooted franchise in a surprising way and felt genuine feelings for Caesar and couldn't help but cheer on his clever antics. Even though it's just a fun action movie, it reminded me of how much animals deserve our respect and the complicated relationship between humanity and the animal kingdom. It was completely entertaining and a lot of fun. High Noon is a classic western that I was surprised to love completely. I have to admit I generally have an aversion to old films, but many that have endured, have endured for a reason and High Noon is no exception. It's full of really great mystery and tension as Will Kane tries to rally people behind him to protect the town. As each person turns him down and his sense of defeat grows, it's hard not to wonder just why he's doing what he's doing. He's a very rootable character, his sense of integrity and justice make it so. And yet, there's still some interesting stuff in this movie to mine for me, such as his pacifist wife using the gun to protect him in the end. Is pacifism as an ideal completely impossible? 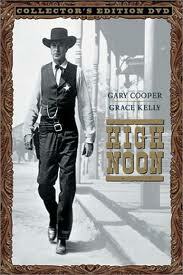 In any case, Grace Kelly is lovely on screen and High Noon is a movie I can easily see myself revisiting. 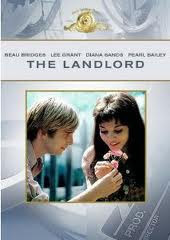 The Landlord is an older movie that just came out on DVD for the first time this year and it's actually great. I was surprised by just how much I enjoyed this somewhat unusual film about an young affluent white man who buys property in Park Slope with the hope of eventually building a luxury home for himself. He quickly begins to learn a lesson about the people who are already there. But not in any Hallmark movie sort of way, the movie feels full of the rough and raw pull of life. And it asks some pretty decent questions about race, identity, belonging, and home. The depiction of Elgar's rebellion against his parents way of life all while he still benefits from it is also interesting and well done. To top it off, the behind the scenes making of the film is fascinating stuff to read. The film was before its time in many ways and is well worth watching. 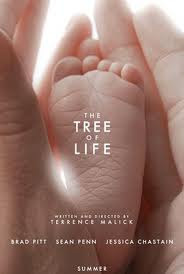 Hands down, the best film I watched this year was The Tree of Life. It's not only that the acting and cinematography are outstanding, it's that somehow this unusual film beckoned me in and made me feel life in this really deep and experiential way. All of the moments of life, all of these tiny moments of life that shape and form us are captured and breathed into being on screen in a way that allows you to see how they are woven together to make the fabric of who we are. Seemingly insignificant moments are treated with beauty and dignity and celebrated as the miracles they are. And as innocence is lost, and the world loses its glimmer and becomes the hard place where we love and lose and wrestle daily against the heat of our own desires, you feel it in the movie. And you feel that hope, that indeed, one day "we'll understand all things" it's just..impossible not to cry? I don't know, I did. I thought this was a beautiful film that celebrates the sacredness and mystery of life. One thing I noticed this year more than any other is just how many male narratives were being told to me. Every movie I listed above is about a man and told from his perspective. I saw Super 8, Captain America, and Crazy Stupid Love all about men. (I really really liked Crazy Stupid Love but the hammering home of the message that you should always fight for THE ONE keeps me from being able to love it wholeheartedly) and then when there was a movie with a strong female narrative, The Help (a great movie from that perspective in that it dealt primarily with the very many different ways women relate to each other) it's riddled with controversy. I just feel sad about this. There are probably some great indie films I missed this year, admittedly, I didn't see a lot, but there's definitely room for more blockbuster type films that tell great stories from the woman's perspective. Alas, an honorable mention on this to Harry Potter and the Deathly Hallows part 2 for just being pure joy and a lot of fun to go see! What were your favorite movies that you watched this year?